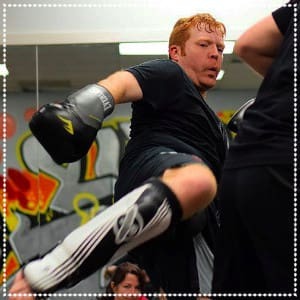 Trent has been a member at FnF for more than two years, and he has amazing dedication to the program and his training. Recently, Trent has come back from an injury to his hand that required surgery, and he has approached his comeback with determination and a strong commitment to himself and his goals. You will not have the pleasure of meeting or training with a nicer person than Trent. He is always encouraging to his training partners and always a pleasure to have in class. Keep up the great work, T! We are all looking forward to watching your continued success and progress in your Krav Maga, fitness, and fighting journey! Thank you for making Fit and Fearless and its community a better place! Photo courtesy of Rachel Hammond.